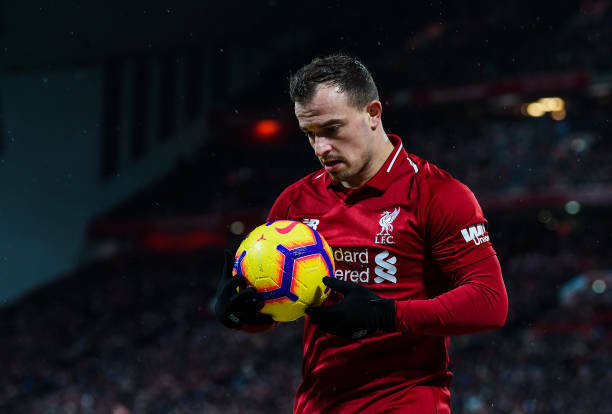 Liverpool winger Xherdan Shaqiri will miss Switzerland's opening Euro 2020 qualifiers against Georgia and Denmark due to a groin injury, the Swiss FA hAs announced. "The attacking midfielder is suffering from a painful inflammation in the groin," the FA has said on its website. The Liverpool player has not started a game for his club since the end of January, and has not featured for the side since a goalless draw against Man United in February.